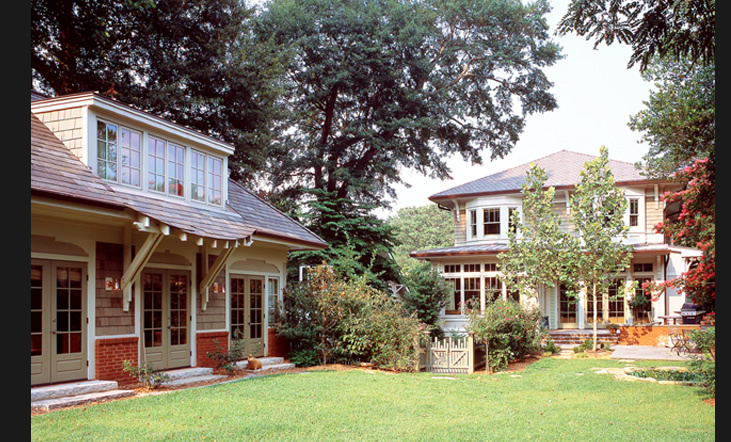 A new custom home inspired by Southern Craftsman style architecture. This residence was designed for a young, modern family with a desire to integrate sustainable building materials into a design that would complement their turn of the century neighborhood. Maximizing exterior landscape views and adjacent garden rooms enable the family gathering spaces to extend inside and out.